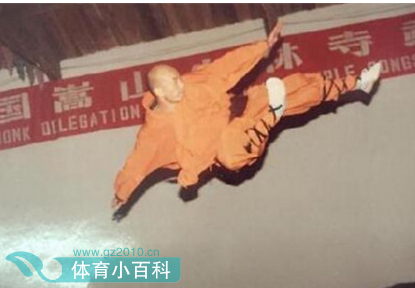 Chinese media reports dated the 4th May, 2017, state that MMA practitioner Xu Xiaodong has ‘accepted’ the challenge of Shaolin monk – Shi Yan Jue – blogging that he will fight anywhere, and adhere to the Shaolin tradition of ‘no rules’. This would essentially be a ‘fight to the death’, but it is doubtful that such a fight would be allowed to ‘legally’ happen within modern China. This is not to say that such fights do not happen, but when they do, they are far from the public eye, and not designed to attract attention or commercial interest. Such encounters run the risk of maiming and killing the participants, with such techniques as bone-breaking, ear and nose ripping, eye-jabbing, throat punching, blows to the heart, and kicking to the groin being deployed, etc. The point is not to ‘submit’ an opponent, but rather to permanently ‘remove’ the opponent’s ability to martially respond. In feudal times, such a victory was important for a ‘name’ clan to retain its social status (and power), with its martial arts held in high regard by the peasantry and the noble establishment. This ‘Confucian’ attitude is premised upon retaining peace and harmony throughout society by force of a ‘virtuous’ character, refined through years of martial practice and academic study. Although it is obvious that Xu Xiaodong defeated a Taijiquan practitioner in just 20 seconds (the video is clear for all to see), there is a mystery surrounding Shi Yan Jue. Local Chinese media apparently contacted the Shaolin Temple (in Henan) and asked for an ‘official’ comment regarding Shi Yan Jue’s ‘challenge’ to Xu Xiaodong. A temple representative stated that the Shaolin Temple does get involved in such worldly matters, and that there is no record of ‘Shi Yan Jue’. 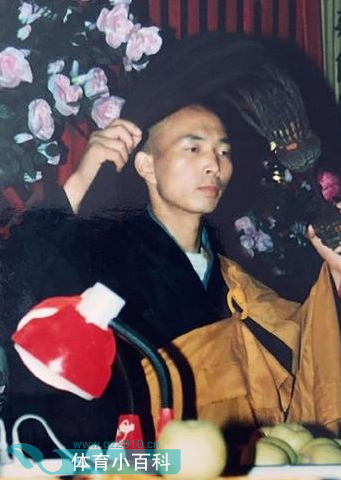 When Shi Yan Jue was informed of this development, he produced the ‘official’ Shaolin Temple Ordination Certificate (a governmental legal document) containing all the correct stamps, signatures and date, etc. He also produced photographic evidence of his association with the Shaolin Temple, which included a photograph of him with the Head Monk Shi Yong Xin (释永信). Not only this, but his certification states that he is a 34th Generation Shaolin Monk, and holds the position of ‘First Rank Dharma Protector’. Shi Yan Jue states that as a ‘Protector of the Dharma’, he is challenging Xu Xiaodong in the name of traditional Chinese martial arts – as historically, the Shaolin Temple has preserved and propagated the Caodong lineage of Ch’an, and a body of knowledge that involves numerous martial arts styles and a Chinese medical tradition. As Xu Xiaodong has an ‘agitated’ mind (full of delusion), his psychological and physical defeat will remove this ‘corrupting’ influence from society, and so that in the future, he cannot lead others astray. The speculation surrounding this issue, is that Shi Yan Jue has been given a ‘special task’ by either the Shaolin Temple authorities, or by the government, to ‘rectify’ the situation of a poorly trained MMA practitioner appearing to defeat a Taijiquan master who was not trained for fighting. In China, this situation is viewed as an ‘internal’ matter, that must be dealt with in an appropriate cultural and political manner. There is the secondary issue of the ‘international’ damage Xu Xiaodong’s video has caused for China, particularly in certain sections of the Western media and martial arts community – that routinely reverts to racial stereotypes when interpreting Chinese social, cultural and political issues. © - This material is copyrighted and remains the sole intellectual property of the author. It can not be used or copied for any commercial purposes.